Nail Time is almost a given in a house with girls. Or atleast my house. I paint mine and usually paint the kids at will. I have tried my luck at designs and some are better then others but we will just chalk that up as a work in progress. 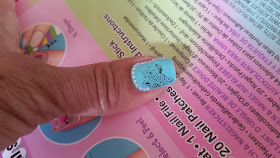 However lucky for me I get a reprieve for a bit while we play with some nail stickers and nail patches. Now all the pictures are perfect! 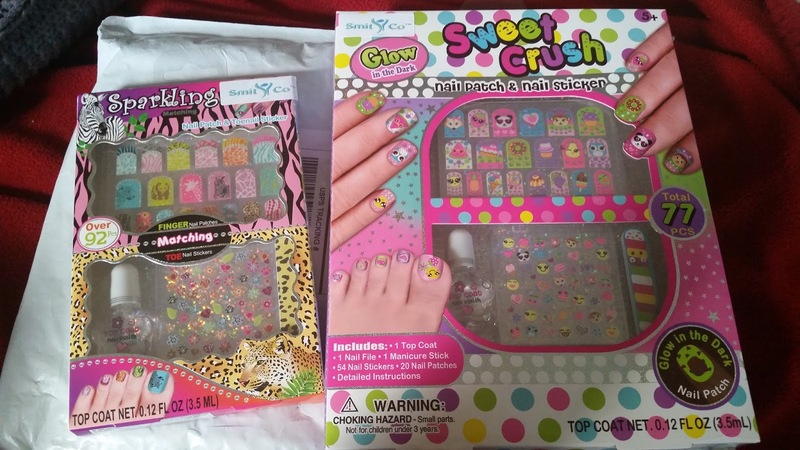 I received two boxes of various nail patches and stickers to make this nail day even better! 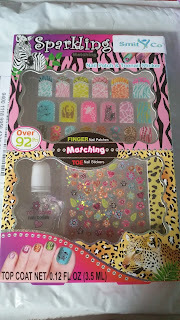 Our first box themed Sparkling had animal prints, a variety of animals and flower, leave and paw print stickers. A little bling on all of the pieces to add some sparkle to your hands. 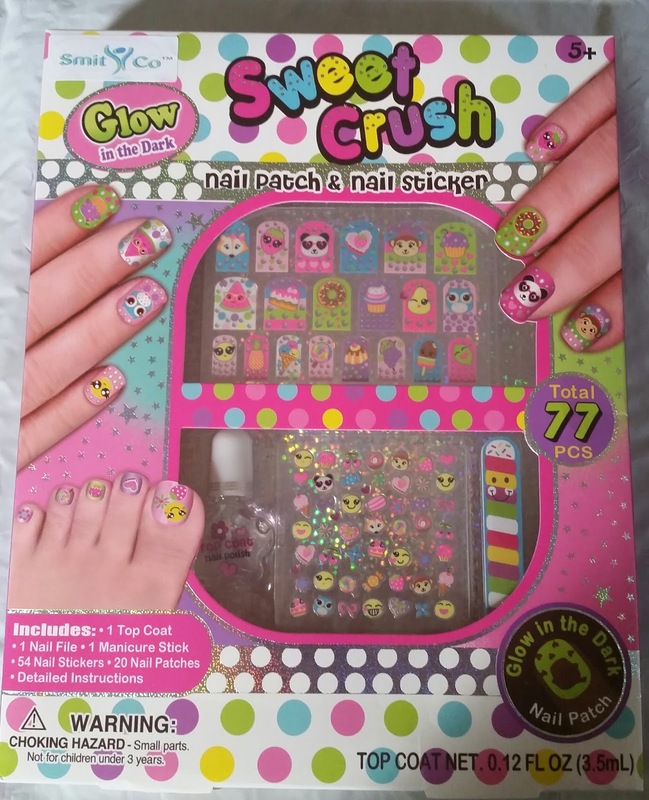 The second box themed Sweet Crush included all things yummy. These patches were desserts, fruits and cute faces with big eyes. These were also extra special with a glow in the dark feature! The items were so little and small hands friendly so little miss was in charge of most of the application. Applying the patches are easy but, you do need to match up the size of your finger versus the size of the patch. 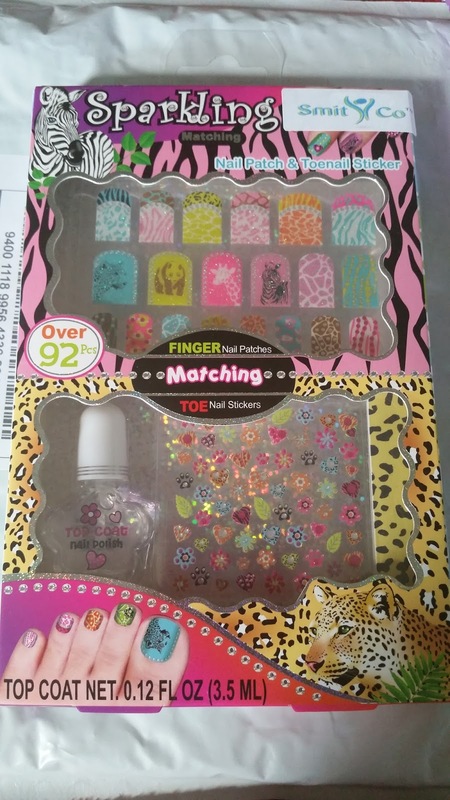 The stickers are on a clear sheet so it's easy to hold the nails behind the patches. Filing the nail down took more concentration and focus and I helped with that part. Lastly a top clear coat to seal the deal was easier for her to assist with. Little miss even did her whole hand and it came out nicely. I couldn't take a picture that showed the glow in the dark but it was neat to see them in that way as well! 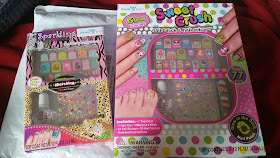 Each box came with enough patches for toes and fingers, stickers, clear top coat polish, manicure stick and nail file. I think this was a nice kit for a child. Everything is small and easy for a child to hold. The only thing I didn't have her use was the manicure stick. This would be a great kit to buy for a birthday party goody bag. Even popping it in to an upcoming Easter basket will result in smiles. The designs available are really cute. 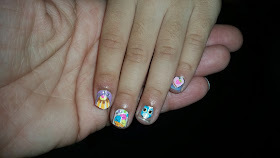 The ease of putting them on give me piece of mind when my daughter wants to sit at the table and put some on! Including the top coat is a nice addition. 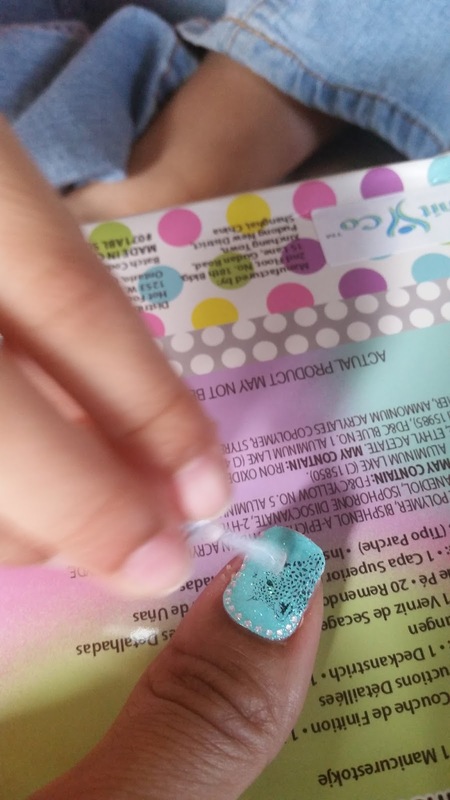 I may use some glue to keep them lasting a little longer as my daughter goes through polish quickly but otherwise I'm satisfied with this child's product. Take a look here for more nail patch options. I was provided this product complimentary for an honest review. All opinions and statements are solely mine regardless.